#ForestFriday It's easier to hit the trail than you might think! Today is #ForestFriday and we are celebrating the US Forest Service Trails. For me celebrating the Forest goes way back. I had a magical childhood really. My backyard was a forest complete with tunnels through overgrown blackberry bushes and trees that were easy to climb. I loved going out and exploring. 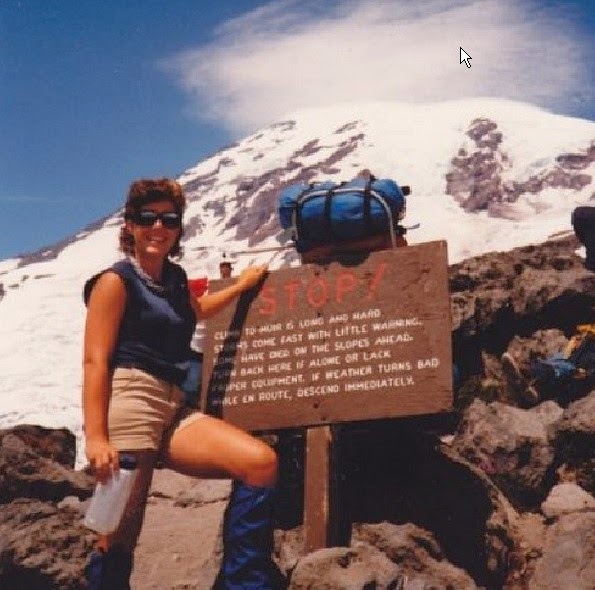 During college, one of my summer jobs was leading teams of inner city kids on wilderness adventures for the YMCA. My husband proposed to me while we were on a hike to Heart Lake. 25 years later we still love getting out on the trail and spending time together. We just renewed our Washington Forest Pass and when we have the chance to drive across the state we try to work in time to get off the road and explore a trail we have never hiked before. The great thing about many of these trails is that there are tons of easy day hikes. The other great thing is the conversations you have along the way. Hiking on a trail is a great way to reconnect with the family (wait for it... millenium cliche coming) in this ever increasing high tech world we live in. 1. Make sure to take water - even if you think you are just going out for an hour. Take Water. 2. Take a few snacks - even if you think you are just going out for an hour. Take Snacks. 3. Use sunscreen - even if you think you are just going out for an hour. Use sunscreen. A hat and a neckerchief are great ways to stay cool on the trail too and will keep you from returning home with an unexpected sunburn on the top of your earlobes (ouch). But Spray is also a good add on - even if you think you are not in an area where there are bugs. * When toting these supplies around make sure that your pack is comfortable. An uncomfortable tote will become super uncomfortable very quickly. We have a backpack that we leave in the car so we are ready to go at any time. 4. Wear comfortable shoes. You don't need expensive hiking boots on most day hikes but there are some fantastic light weight options out there now. The main thing is to make sure the shoes you are wearing are super comfortable. Costco has some great trail shoes on sale right now that are super lightweight and have massive treads on the bottom. 5. We use hiking poles. We are not as young as we used to be and we love our walking poles. Even still we see younger hikers using them too. They can be super helpful keeping your balance when navigating rocky or steep pathways. 6. Map it out and when possible take a GPS. We love our GPS. 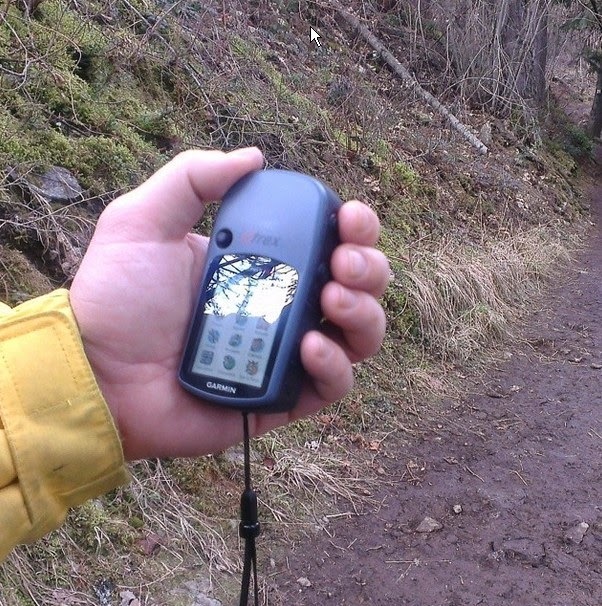 More and more our phones stay connected while on trails but many US Forest Service trails will take you to areas that do not have great cell phone coverage. The thing we love about our GPS is that it not only tells us where we are on the trail but it also tells us how much more daylight we have. This can be super helpful if we are out hiking longer than we thought we might be. Most trails are really well marked but we still like having our GPS with us. Every year, typically in the springtime, we buy an annual Discover Pass for our car so that we can be spontaneous and go on a hike any time any where. Every year we get our money's worth out of the pass but even if we didn't we like to support the trails by buying a pass. 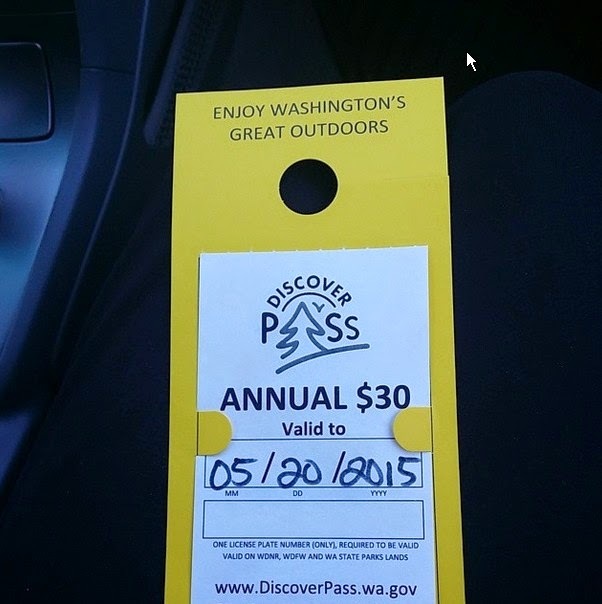 We also buy an annual National Parks Pass even if we do not have plans to visit a National Park. One we have our passes we are way more likely to use them than if we didn't have them. My twitter bio reads "Life's an Adventure". It's true. The great part is that it is an adventure but it is also much easier than you might think to have a grand adventure. With the new interactive site DIscovertheForest.com it is easier to hit the trail than you might think. Absolutely love this post, Mary! Fantastic tips and lovely connection to your family.